The Game Awards had one major surprise in store on Thursday night: Psychonauts 2. It’s (sort of) real. It’s (maybe) happening. It’s (kind of) all up to you now. “In Psychonauts 2, Raz realizes his dream and visits Psychonauts Headquarters. However, when he gets there, he finds it’s not the perfect place he expected and quickly realizes that the Psychonauts need him more than he needs them. “But wait,” you say, “that seems a little low for a game the size of Psychonauts.” Indeed it is. 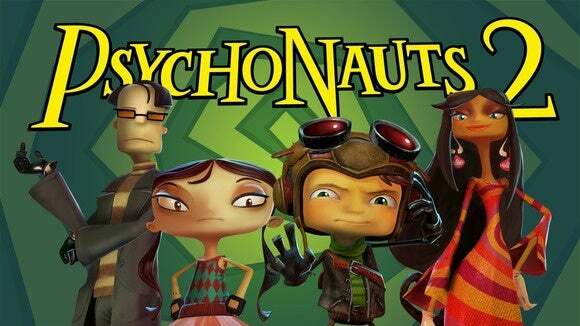 In fact, we know exactly how much Psychonauts 2 is estimated to cost becauseMinecraft-creator Markus “Notch” Persson famously backed out on funding the game in 2013. Double Fine’s Tim Schafer is further quoted saying, “None of these three parts on their own is enough but together they add up to a sequel worthy of Psychonauts!” I’m not quite sure how I feel about this process—it smacks a bit of Shenmue 3’s crowdfunding campaign, and Double Fine’s own crowdfunding record isn’t exactly unmarred. But I’m at least placated a bit by the fact Fig allows for funding through actual investments, not merely giving away money like Kickstarter. We’ll see how it goes. I want to be excited, though. This project’s been a long time coming, and Double Fine seems to be in the “Give the people what they want” stage of its lifespan, what with Grim Fandango and Day of the Tentacle getting the HD remaster treatment. Hopefully the result is a Psychonauts 2 that’s worth the wait.